Waar was expected to release on Eid Ul Fitar 2013 due to the consistent delays the film couldn’t get complete timely which results it to release recently on Eid Ul Azha, 2013. 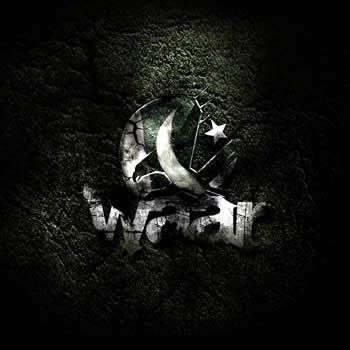 Waar is an action drama film directed by Bilal Lashari. The film is described as Pakistan’s biggest budgeted movie, costing USD $ 2 million and is predicted to be distributed in almost 25 countries across the globe. The movie release under mind works media banner. The movie is written and produced by Dr. Hassan Waqas Rana our nation’s renowned stars Shaan Shahid played asdejected elite who may be Pakistan’s last line of defense against the deadly mercenary played byShamoon Abbasi. The film cast stars namely Hamza Ali Abbasi, Aisha khan, Ali azmat, Misha shafi, Kamaran Lashari and Nadeem Abbas Rana. The movie got released side by side with an Indian movie “War Chhod Na Yar” which is a comedy action movie. The story line of Waar is entirely different from this movie. The film opened in cinemas on Eid Ul Azha, waar’s movie main theme revolves around the terrorist practices and made India responsible for terrorist activities. Waar story line depicted the roles terrorists, raw agents, army officials and local politicians play in shaping or distorting society at the same time. Starring Shaan is playing a role of a retired army officer who took retirement from the army forces due to his personal issues. Being the country’s top actor the main lead is played by Shaan Shahid. The film has two villans that emerge to be shown as local politicians of the Pakistani government the villans casted for the movie highly resembles Nawaz Sharif and Zaradari; however the raw agents were shown in different shapes. On the other hand there are two raw agents namely Ramal and Laxmi who are considered as the primary cause of creating trouble some situations in Pakistan. The two key raw agents held responsible for the political murders, kidnapping and suicide bombings. There are agents who possess dual personality as they serve as a social worker and honey-traps keen politicians by nights. Based on the anticipated story line, many observers and critics have proclaimed that the Pakistani producers are applying the Indian film’s formula of the 80’s profoundly depends on propaganda and nationalism. Considering Waar as the most anticipated movie in the history of Pakistan based on true life events and experiences of people and the nation. The movie Waar, released on the first day of Eid Ul Azha on almost 42 screens crosswise Pakistan and on the very first day the movie made a box office record for Rs 11.4 million. Waar broke the record of recently released Indian movie “Chennai Express” which made the box office record of Rs 9 million on the first day of an exhibition earlier in the year. The movie is expected to reach Rs 55 million in its first opening weeks on current trends. Technically speaking, Waar is far better than previously release Pakistani movie this may be due to the fact that the movie is funded by Pakistan Army. It can be assumed that movie like Waar with high production quality; direction and aesthetically sound can play a role of game changer. This movie has given opportunity to lot of talent young actors too showcased their acting skills on such a large screen.